The Panasonic Studio300/100 is a 100m (328 ft) high-performance cable bundle that connects a variety of Panasonic P2HD and DVCPROHD camcorders to Panasonic's AG-BS300 Studio Base Station. 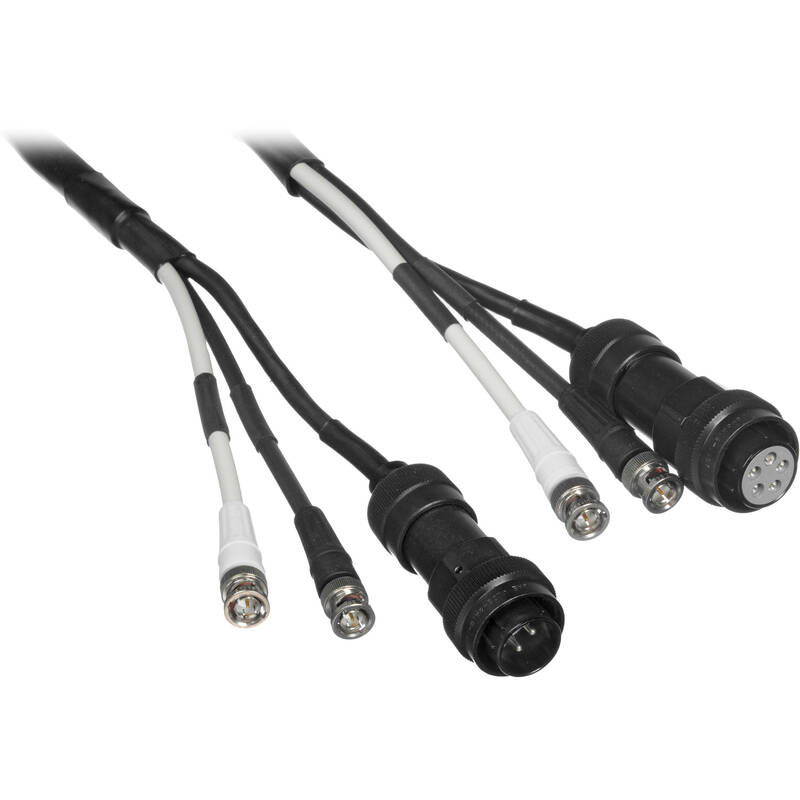 Made up of two BNC cables and one DC power cable, the bundle connects an AG-CA300G camera adapter to the base station, transmitting a multiplexed signal for remote control, return video, tally, intercom, and genlock. The Studio300/100 is compatible with the following Panasonic camcorders: AJ-HDX400, AJ-HDX900, AJ-HPX3700G, HPX2700G, HPX3000G, HPX2000 series, AG-HPX500 series, and HPX300 series. Box Dimensions (LxWxH) 31.0 x 27.0 x 27.0"